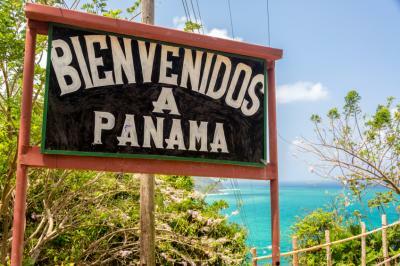 The tiny Republic of Panama was universally known over the years for its canal. After all, the 48 mile long international waterway creates a short cut between the Atlantic Ocean and the Pacific Ocean. Large crude oil carriers save about 8,000 miles going through the canal instead of traveling around the Southern tip of South America. Life in Panama has been pleasantly quiet, marked by sailing ships on their way to...wherever. At least that is until the "Panama Papers" surfaced. These papers refer to the leak of a million documents from a law firm in Panama. The now internationally known law firm Mossack Fonseca is the serial incorporator of shell companies worldwide. Its lawyers created entities tied to politicians, celebrities and companies interested in evading taxes, laundering money or hiding unspeakable business transactions with drug cartels or terrorist organizations. The papers even show references to the children of the Pakistani Prime Minister, aides to Russian president Vladimir Putin, Iceland's prime minister, Barcelona soccer star Lionel Messi, Spanish film director Pedro Almodovar and others. Even closer to home for banks, Mossack Fonseca was often working with major banks such as Credit Suisse, HSBC, UBS, Societe Generale and others. More than that, the law firm was in contact with a reported 500 banks worldwide that requested offshore companies be created for their clients. Naturally, before the leak, nobody knew who the real owners of these shell companies even were and global banks reportedly promised their customers access to the American financial system with anonymity. The scandal has prompted the US government to take action. The Financial Crimes Enforcement Network (FINCEN) has worked on a new rule to identify the real owners of bank accounts, in an effort to build a system that pierces the facade of distracting layers of such shell structures. Currently, although American banks and foreign banks with branches in America are required to "know" the customers who open accounts in the US, they don't have to grasp the true identities of underlying customers who actually establish accounts listed as shell companies. Under a new Customer Due Diligence (CDD) rule submitted by FINCEN to the Office of Management and Budget, this would change. Banks would have to know and understand the ultimate owner of any company they do business with. Financial institutions can no longer be merely satisfied with the ostensible legality of an entity under the rule, but must also be comprehensively aware of the beneficiary. The devil is in the details of this new ruling of course, however. While it would be nice for a government to know everyone associated with every company, that costs banks money and often it has nothing to do with things as esoteric as what is going on in far flung places like Panama. As such, bankers should be sure to read the proposal. The new rule was proposed to the OMB in April 2016 and, the review could take 90 days. America remains a relatively accommodating place in which to do business. After all, states such as Delaware, Wyoming or Nevada advertise their ability to incorporate a company in minutes for a few hundred dollars. No one is too sure where the Panama Papers will go, but the concoction of celebrities, politicians and sports stars is certainly interesting so it has caught worldwide attention. We also note that it takes a ship about 10 hours to go through the Panama Canal, as the locks open and close during the process. We bring this up because in the good old USA, the Panama Papers have started the regulators to move, so expect our own locks to close a bit tighter in the coming months as we seek to employ lessons learned from this issue. Yields dropped 1bp as investors await the outcome of this week's ADP and Unemployment data. Wells Fargo announced a 3% down payment mortgage option for first time and low to moderate income buyers. Wells said it will fully underwrite borrowers and is partnering with FNMA to originate and sell the loans. Minimum FICO score to qualify is reportedly 620 and borrowers who complete a homebuyer education course can qualify for a 0.125% reduction in their interest rate. Bankers should note that research by US Trust finds 67% of people with at least $3mm in investable assets say they use credit strategically to build their wealth. Maybe there is an angle in there to boost loan activity, perhaps. The Commodity Futures Trading Commission has ordered Citibank to pay $425mm to settle charges it tried to manipulate global benchmarks for interest rate products multiple times from 2007 to 2012 in order to benefit its own trading positions. A study by banking app Fintonic finds 12.5% of US consumers are willing to run $1,000 in debt to show others their life is luxurious. Even worse, 10% of those making $80,000 or more ran up debt as much as $5,000 to do so. A survey of Millennials worldwide by Deloitte finds that excluding salary the following factors are evaluated when looking at job opportunities: good work and life balance (17%); opportunities to progress or be a leader (13%); flexibility, remote working, flexible hours (11%); sense of meaning from my work (9%); and professional development training programs (8%).